Growing a global technology company is no easy task. 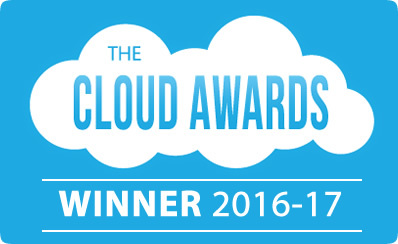 So to be awarded Best SaaS Company by the Cloud Awards is a testament to the work of 1600+ global team, who are doing some of the best work of their lives to help small businesses and our accounting partners thrive. The cloud computing awards program, which is now entering its seventh year, celebrates excellence and innovation in the rapid-growth cloud computing market. The awards program accepts entries from across the world, from organizations of all sizes. We started Xero ten years ago to change the game for small business. We believe small businesses make the world go round — they’re the heart of the global economy. Xero’s beautiful, cloud-based accounting software connects people with the information they need to run a business, anytime, anywhere, and on any device. For accountants and bookkeepers, Xero helps build a trusted relationship with small business clients through online collaboration. Like all great challenges, we can’t do it by ourselves. We work closely with our customers, partners, and other friends to push innovation forward. This turns Xero into the most vital online business platform for small business operators. We’re proud to be one of the fastest growing SaaS companies in the world. And we’re continuing to pursue a growth agenda to become the long-term global leader in small business software and achieve our vision of millions of businesses growing on our platform. With our global subscriber base of more than 862,000 customers, we’re doing just that. Our customers are from from Australia, New Zealand and the United Kingdom into the United States, and we’re also growing our presence in Southeast Asia, South Africa and Canada. Our development cadence is rapid. We’ve had more than 1,400 product updates and features delivered in just the last year. Xero integrates with 500+ apps and integrations, allowing businesses to connect with the business tools they need to increase productivity and boost growth. With a clear vision in mind, it is important to us to empower and develop people to mobilize the strategy at pace. We work to hire people with a growth mindset and a passion for our vision. This ensures that we can deliver on our promise to help many millions of small businesses achieve their potential. The post And the winner is… XERO appeared first on Xero Blog. Atlassian has smashed down the door for tech companies hailing from Down Under. The team collaboration software company listed on the NASDAQ this week, its stock quickly jumping more than 30% in early trade, from $21 a share to $27, giving the tech company a valuation of around $US5.6 billion. Atlassian has practically written the book for tech companies hailing from Down Under which want to reach the global market. Company founders Mike Cannon-Brookes and Scott Farquhar can safely say they’ve played a huge part in dragging Australia out of the mine pits by showing them just how profitable technology can be. Is this the guy who created bitcoin? Wired thinks it may know who created cryptocurrency, bitcoin. In a report this week Wired named Australian scientist Craig Steven Wright as its main suspect. You can read the full rundown of why they think he’s their guy, here. Salesforce CEO Marc Benioff recently told Bloomberg he would no longer be investing in private companies with a unicorn status. (More than $1 billion valuation.) His argument was that private companies don’t provide the level of transparency public ones do and that their valuations are unrealistic as they’re not marked to market each day. His comments have torn open discussion around the differences between private and public companies. “If you believe you’re worth a billion dollars or more, then get out in the public markets,” he said. Michael Dell’s big billion deal is a big bet on data. Dell’s $US67 billion acquisition of EMC, the largest tech deal in history, happened because the Dell founder is convinced technology’s next trillion-dollar market opportunity is data. “If you look at companies today, most of them are not very good at using the data they have to make better decisions in real time. “I think this is where the next trillion dollars comes from for our customers and for our industry.” Same goes for small businesses, having better access to actionable data can help you make more informed decisions and be more productive with your time. E-waste. As technology improves, many of us opt for the upgrade, shunning our old devices to the bottom drawer or throwing them in the trash. The New York Times this week had a great article on the world’s growing e-waste problem and how to better deal with the some 92 billion pounds of used electronics thrown away each year. It’s becoming more common now to see retailers run programs to help get rid of used electronics so you know you’re disposing of them thoughtfully. More here. The proliferation of mobile, tablets and ubiquitous internet have all helped small businesses improve efficiency by designing products which enable you to run your operations from anywhere, at any time. Here’s what small business owners can learn from the big tech news this week. It looks like Slack is hitting one of its main goals – to cull interoffice emails. The company, which makes it easier to communicate with your co-workers, surveyed a bunch of its users and found they send a whopping 48.6 percent less emails. More here. A day in their shoes. Facebook is slowing its internet speeds right down to 2G every Tuesday, so employees understand what it’s like to work in emerging markets like India. Most phones in the US run on 3G or 4G. On slower connections, like 2G, websites can take minutes to load. There’s more over at Business Insider. Apple has struck a deal with American Express to take its Apple Pay global. After launching the tap and pay phone platform in October last year, the deal will see it roll out in Australia, Canada, Singapore and Spain. The tech company made the announcement during its Q3 earnings report this week. For the period it posted revenue of $51.5 billion, up 38% year-on-year and net income of $11.1 billion. Apple sold 48.05 million iPhones, 5.71 million Macbooks and 9.88 million iPads. Kim Dotcom is planning to build a private, secure and decentralized internet that is based on blockchain, the technology behind Bitcoin. He’s calling it Meganet and to get it off the ground, he wants to leverage the processing power of smartphones which sign up for the service. Universities aren’t gearing graduates up with the right entrepreneurial skills to support small business. One way to improve innovation is by helping small business owners, and their advisors, use data to get a better reading on what’s going on in their companies. 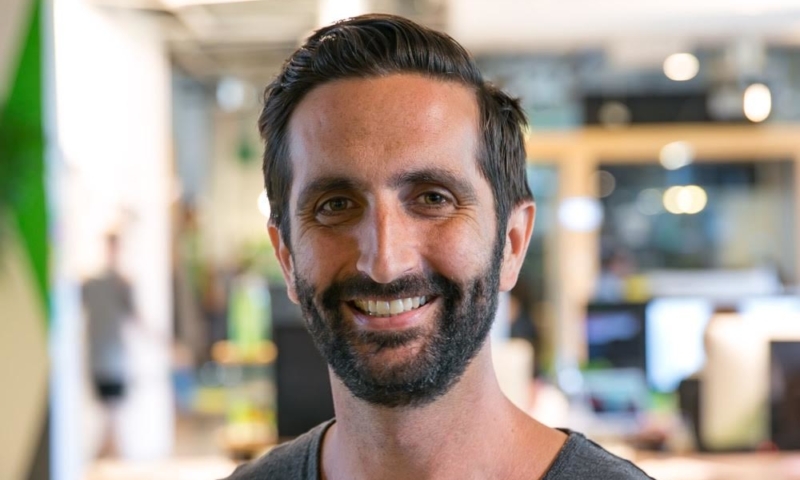 Xero head of accounting, James Solomons, has more here. Amazon is reportedly looking at launching its own shopping channel which would let customers purchase straight off the screen. According to GeekWire, Amazon will roll out the shopping channel during 2016.